In Inca City another week has passed, and there are a few more fans on the ridge. We are studying the sequence of spring activity with the help of citizen scientists at the Planetfour website, sponsored by Zooniverse. 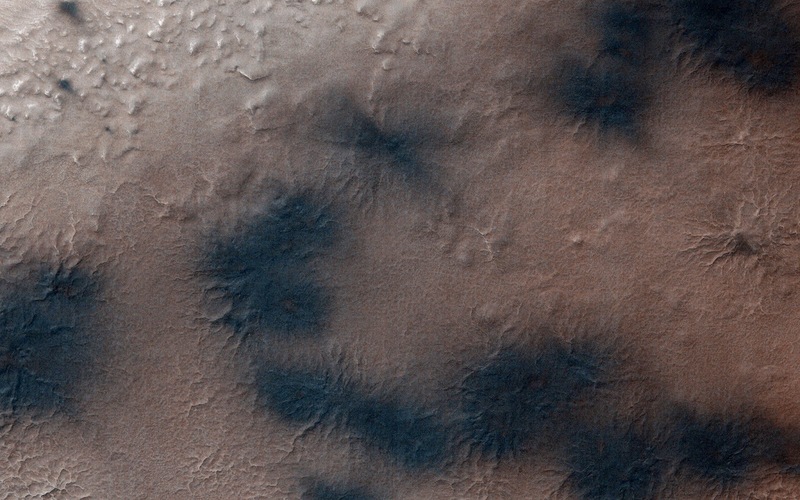 Citizens of planet Earth log on and identify and measure fans and blotches in the South polar region of Mars imaged by HiRISE. With their help we can study the polar weather by looking at how the fan directions change through the spring. We see how the number of fans and blotches depends on the thickness of the ice layer and how high the sun is in the sky. If you would like to be a part of this endeavor join us at www.planetfour.org. Note: For more information, see PIA18894: Spring in Inca City III.